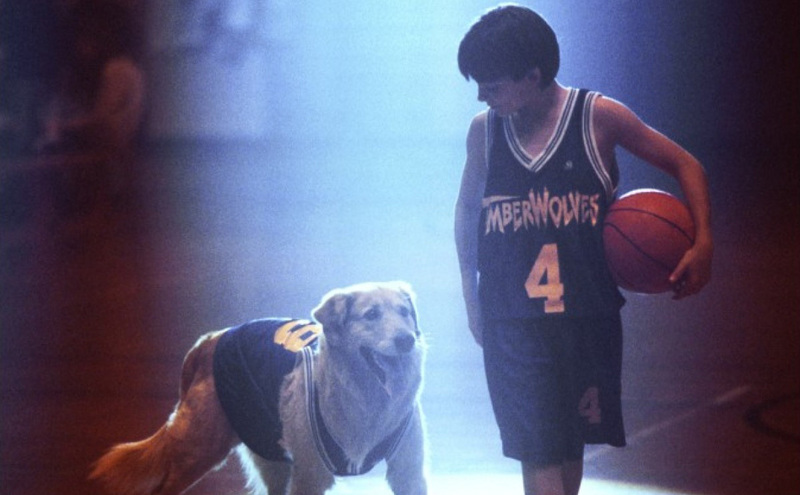 We take a closer look at some of the more questionable aspects of the original "Air Bud" movie to see how they hold up. Can a dog play basketball? In 1989, Kevin di Cicco found a stray golden retriever roaming the mountains of Yosemite. After adopting the dog and naming him Buddy, di Cicco began training him to play various sports. First, he taught Buddy how to catch a baseball pitch. Then, he set up a hockey net and showed him how to block slap shots. After a chance encounter with a hoop, di Cicco discovered that Buddy had a natural talent for basketball ”“ it took just six months for him to learn the trick that made him famous when he appeared on The Late Show with David Letterman. Sticklers will note that Buddy does not actually play basketball in the strictest sense, but rather pops the ball up in the air and into the hoop with his nose, usually with help from a nearby human. Still, the trick was impressive enough to land him a regular role on Full House as Comet the family dog (Buddy’s unique talents were featured in one episode), followed by Air Bud. 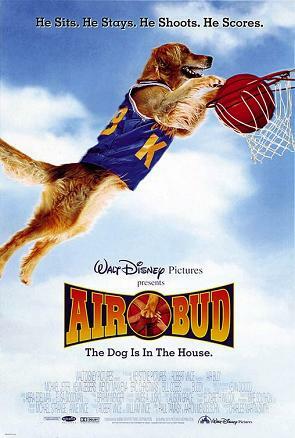 When Buddy first plays basketball in the film, he makes an astounding twelve shots in a row, which is clearly not an accurate portrayal of a dog’s skills. “When I would shoot a basket, he would bite at it and his canines would punch it out of his teeth,” di Cicco told the Springfield News-Sun. “There were a lot of times he didn’t make the basket.” We feel it is our responsibility to note that even the dog’s successful shots struggle to stick to the rules: During two of the movie’s free throws, Buddy jumps across the free throw line before the ball hits the basket, which would mean a disqualification. Final Verdict: Dogs would not be efficient basketball players, as they lack the ability to dribble. They could perhaps be inside post players, but are too short to effectively handle the position, and would be best used to distract the other team. Throughout the movie, Buddy is enticed by vanilla pudding, which some may believe is a fun and tasty canine treat. The fact is, dogs will eat anything, and most dogs are lactose intolerant. This use of pudding is ill advised. Final Verdict: Pudding will probably give your dog indigestion, not special athletic abilities. Are golden retrievers better athletes? First bred in Scotland in the mid-1800s to retrieve game in wildfowl hunting, golden retrievers are prized for their obedience, affability, and athleticism. According to psychology professor Stanley Coren’s “The Intelligence of Dogs,” golden retrievers are the fourth most intelligent breed in terms of obedience trainability and are commonly used as guide, bomb sniffing, and search and rescue dogs. When it comes to sports, the breed’s retrieving skills, such as its soft mouth grip, give it a natural competitive edge. “Most golden retrievers just love the game of fetch and that was the foundation of which I trained Buddy,” di Cicco said on AM Northwest. “But it’s not just golden retrievers. Labs, Australian shepherds, a lot of mixed breeds… It’s just a dog that likes to play fetch is a very good candidate to learn the sports that Buddy played.” Di Cicco trains his dogs with positive praise ”“ not food ”“ as a reward, and two of Buddy’s offspring began training at six weeks old by catching rolled up socks; one of them, Buddy II, can now catch a football at about 45 yards, according to di Cicco. Final Verdict: The ever-obedient golden retriever is easier to train and naturally gifted at catching, which means they may actually be better at ball sports than your average pooch. Is there really no rule that dogs can’t play basketball? Well, yes. There are also no specific rules against bringing your cat to “Take your daughter to work day,” or paying exclusively in pennies, but these are generally not things one does. Regardless, to be a member of a school’s sports team, one generally has to be a registered student at said school. Apologies to Air Bud, Soccer Dog, and Jack, the most valuable primate. Apologies, all. Final Verdict: No legitimate school or sports organization is going to allow a dog ”“ or chimp, or mule ”“ to join their team, even if there is no specific rule against it. Inevitably, a dog would fail to meet the standard qualifications that humans themselves must meet to play competitive sports.